After taking the pre-tests, I loosely form groups based on the content standards we will be covering. 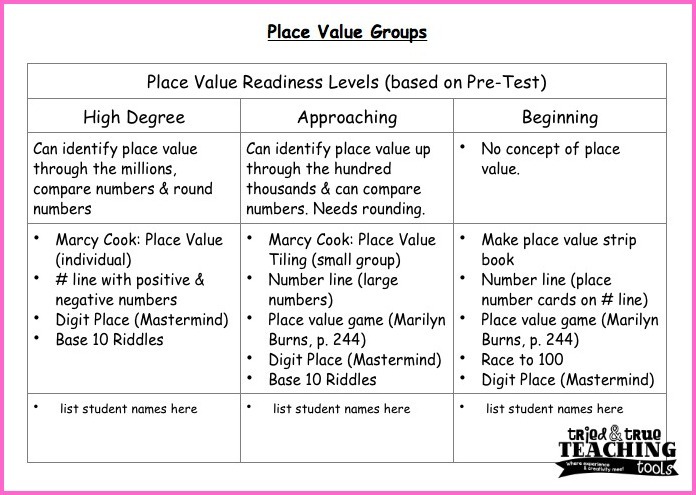 This is helpful for me, so I know what I’m specifically targeting, as well as listing possible activities for Teacher Time, At Your Seat, and Hands-on rotations. 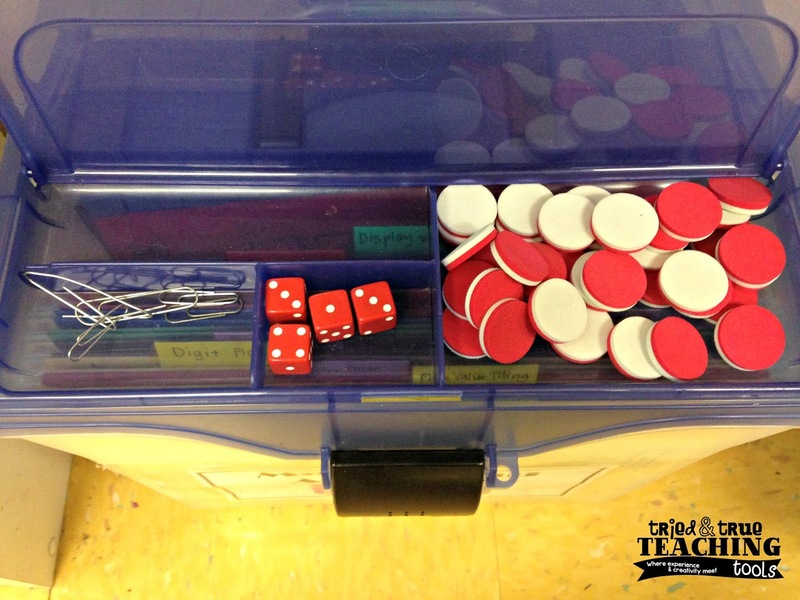 I love how well Amber at Peppy Zesty Teacherista explains her math workshop! And she has already made the signs for organization! My 4th grade partner and I meet regularly for Math Buddies, a time where we mix our students and pair them up to play math games. 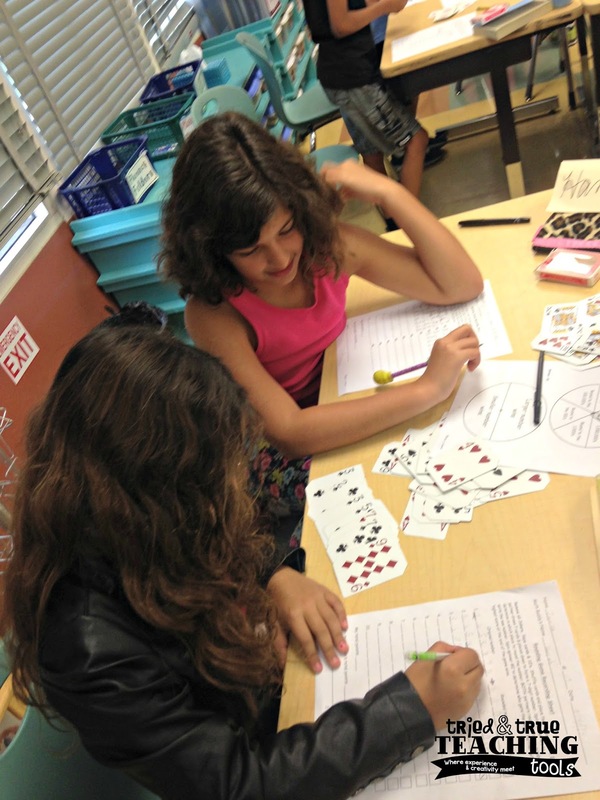 Somehow playing a math game makes practice more exciting! And peer explaining to peer is many times more helpful than hearing the teacher’s voice again! 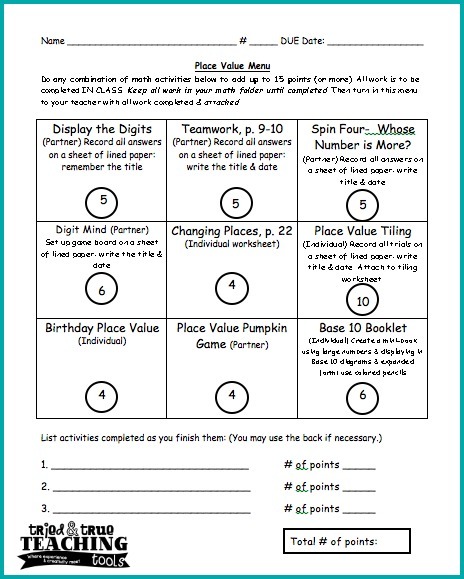 We also use Math Buddies as a time to introduce and explain activities in the Math Menu box. 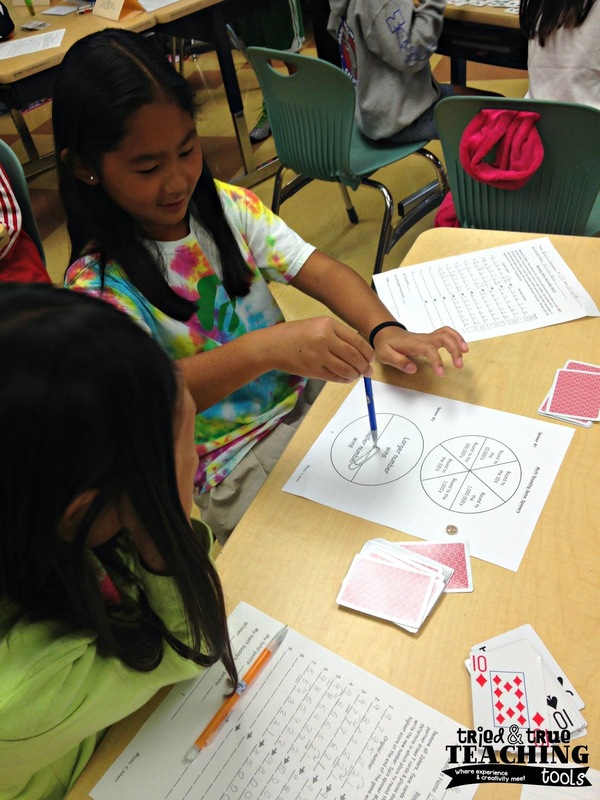 One of their favorite place value and rounding activities is a game using playing cards. You can download a copy here. 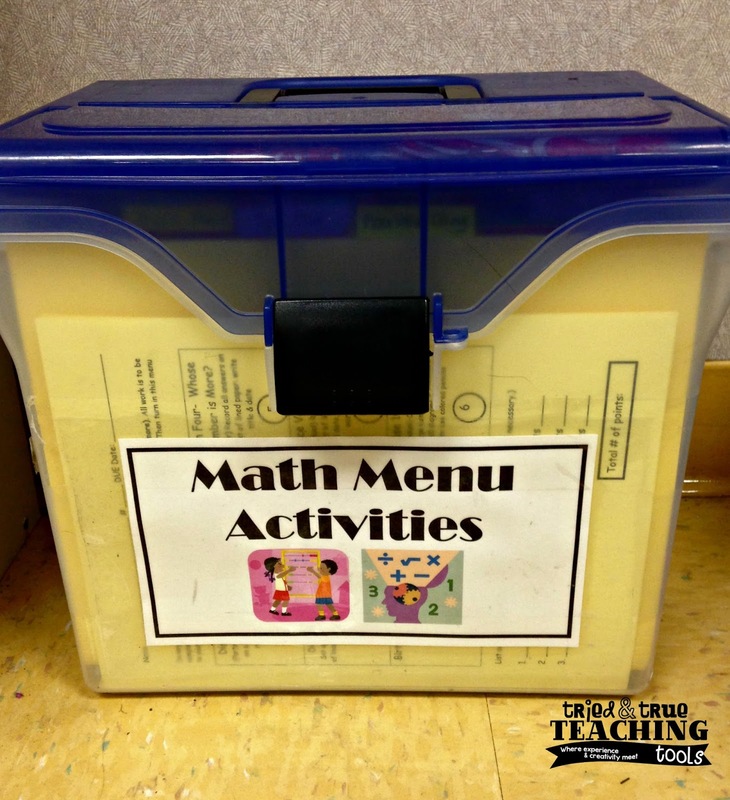 With each new math topic, students are given a differentiated Math Menu. The math menu is a compilation of independent and partner activities, all covering the same standards. Each activity is given a certain number of points, depending on the level of difficulty. My more advanced students are required to do the 10-point activities, while my struggling mathematicians will be perfectly happy practicing the 4 and 5-point activities. Math menus are perfect for At Your Seat time! I’ve devloped Math Menus with all the many resources we teachers seem to have in our files: some games are from our state math textbook series, others are games I’ve created, while others are from math gurus such as Marilyn Burns and Marcy Cook. They have phenomenal, engaging research-based math materials!! I use their materials also for Hands-On time!! All materials for math menus are kept in a central location for easy student access. 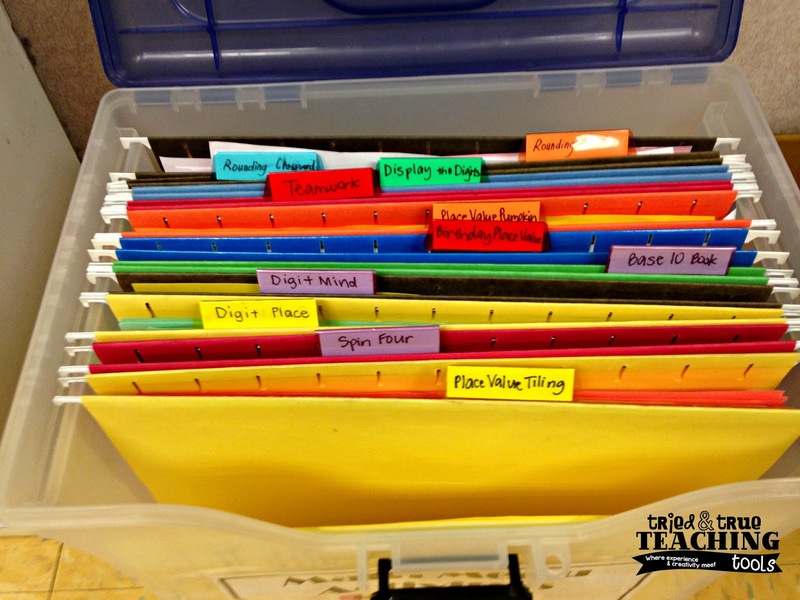 I use hanging file folders in a box, all labeled to match the Math Menu. All necessary supplies are stored in the lid of the box. I’m always looking for more math workshop ideas! Please share other resources! I love how well you explained this! Guided math has really help me target kids individual needs. Thanks, Tara!! Working with students in small, targeted groups has made the world of difference! !